Alberta Candidate Nomination Updates: 2 NDP cabinet ministers announce re-election and 3 more UCP MLAs plan to retire. Photo: Oneil Carlier, Shannon Phillips, Sonya Savage, and Tyler Shandro. Nominations are picking up speed. Three more United Conservative Party MLAs have announced their plans to retire when the next election is called. Grande Prairie-Wapiti MLA Wayne Drysdale, Livingstone-Macleod MLA Pat Stier and Little Bow MLA David Schneider will not seek re-election in 2019. Schneider changed his minds after previously announcing plans to seek re-election in the new Cardston-Siksika district. 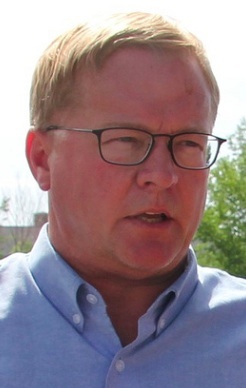 His entry into that contest forced Cardston-Taber-Warner MLA Grant Hunter to seek the UCP nomination in the neighbouring Taber-Warner district, even though he lives in Cardston. It is not yet known whether Hunter will now run for the UCP nomination in what will soon be his home district of Cardston-Siksika. Environment and Parks Minister Shannon Phillips has filed her intentions with Elections Alberta to run for the New Democratic Party nomination in Lethbridge-West. Phillips was first elected as MLA in 2015 with 59 percent of the vote. Also running for re-election is Agriculture and Forestry Minister Oneil Carlier, who told XM105FM that he will seek the NDP nomination in the newly redrawn Lac Ste. Anne-Parkland district. Carlier currently represents the Whitecourt-Ste. Anne district, which will no longer exist when the next election is called. Independent MLA Derek Fildebrandt is agitating in Chestermere-Strathmore. After being banned from rejoining the UCP caucus in February 2, 2018 after a string of embarrassing scandals, Fildebrandt has essentially accused his former party of being afraid of an open nomination contest in the new district. 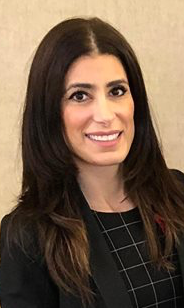 The theatrical former finance critic accused the UCP of “Trudeau-style affirmative action” for not allowing him to run against popular Chestermere-Rockyview UCP MLA Leela Aheer. As first reported on this blog on April 7, 2018, Wood Buffalo municipal councillor Jane Stroud will seek the NDP nomination in the upcoming Fort McMurray-Conklin by-election. The UCP have set May 1, 2018 as the date for their candidate nomination vote. In Innisfail-Sylvan Lake, candidate Joel Loh was not allowed to join the UCP nomination contest and has since endorsed Red Deer County councillor Christine Moore. UCP members in that district will select a candidate in a vote at the end of the month. Calgary-Acadia – Lawyer Tyler Shandro is seeking the UCP nomination. Astute followers of Alberta politics might recall Shandro’s role in the EdStelmach.ca incident. Good luck and govern yourself accordingly, Tyler. 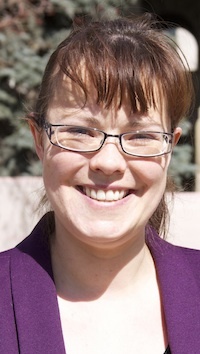 Calgary-Currie – Amoriza Gunnink is seeking the UCP nomination. Gunnink is the founder of the Kinderhouse Preschool. 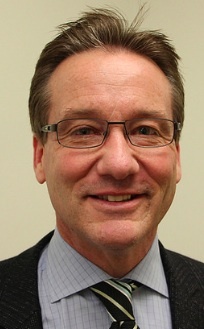 Tony Norman is seeking the Alberta Party nomination. Norman was his party’s candidate in this district in the 2015 election. Calgary-East – Pradeep Singh is seeking the UCP nomination. Calgary-Falconridge – Happy Mann is seeking the UCP nomination. Mann was the Wildrose Party candidate in Calgary-McCall in the 2015 election and the 2012 Wildrose Party candidate in Calgary-Cross. Calgary-Glenmore – Maureen Zelmer is seeking the UCP nomination. Calgary-Mountain View – Dean Brawn is seeking the UCP nomination. 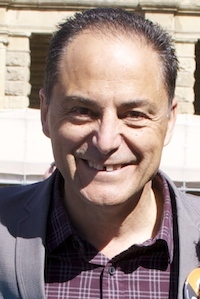 Brawn was a candidate for Calgary City Council in Ward 7 in the 2017 municipal election. Calgary-North West – Sonya Savage is seeking the UCP nomination. She is the Senior Director of Policy & Regulatory Affairs at Canadian Energy Pipeline Association. In 2011, she served as co-chair of Rick Orman’s campaign for the leadership of the Progressive Conservative Party. Drumheller-Stettler – MLA Rick Strankman is seeking the UCP nomination. 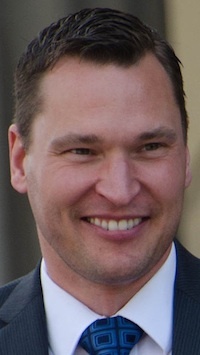 Strankman was first elected in 2012 as a Wildrose Party candidate. Edmonton-Ellerslie – Yash Sharma is seeking the Alberta Party nomination. Sharma is the Publisher of the Asia Tribune and producer of Harmony TV and in 2016 he was one of 32 candidates to run in the Ward 12 by-election. Edmonton-South West – Kevin Greco is seeking the UCP nomination. Lethbridge-East – Brian Litchfield is seeking the UCP nomination. Sherwood Park – Jordan Walker is seeking the UCP nomination. Walker and Strathcona-Sherwood Park nomination candidate Nate Glubish are being endorsed by Sherwood Park-Fort Saskatchewan Member of Parliament Garnett Genuis, who is hosting a meet and greet for the two candidates on April 27, 2018. Genius was the 2012 Wildrose Party candidate in Sherwood Park. Vermilion-Lloydminster-Wainwright – Two-time Wildrose Party candidate Danny Hozack is seeking the UCP nomination. Hozack earned 37 percent of the vote in 2012 and 33 percent of the vote in 2015. He is seeking the nomination against Garth Rowswell, his campaign manager from the 2015 election. West Yellowhead – MLA Eric Rosendahl is seeking the NDP nomination. He was first elected in 2015 with 39 percent of the vote. This entry was posted in Alberta Politics and tagged Alberta Election 2019, Alberta Election Candidate Nominations, Alberta NDP, Alberta Party, Brian Litchfield, Calgary-Acadia, Calgary-Currie, Calgary-East, Calgary-Falconridge, Calgary-Glenmore, Calgary-Mountain View, Calgary-North West, Cardston-Siksika, Chestermere-Strathmore, Dale Nally, Danny Hozack, David Schneider, Dean Brawn, Derek Fildebrandt, Drumheller-Stettler, Edmonton-Ellerslie, Edmonton-South West, Eric Rosendahl, Fort McMurray-Conklin, Fort McMurray-Conklin by-election, Garnett Genuis, Garth Rowswell, Grande Prairie-Wapiti, Grant Hunter, Happy Mann, Innisfail-Sylvan Lake, Innisfail-Sylvan Lake by-election, Jane Stroud, Joel Loh, Jordan Walker, Kevin Greco, Lac Ste. Anne-Parkland, Leela Aheer, Lethbridge-East, Lethbridge-West, Livingstone-Macleod, Maureen Zelmer, Morinville-St. Albert, Nate Glubish, Oneil Carlier, Pat Stier, Pradeep Singh, Rick Strankman, Shannon Phillips, Sherwood Park, Sonya Savage, Strathcona-Sherwood Park, Taber-Warner, Tony Norman, Trina Jones, Tyler Shandro, United Conservative Party, Vermilion-Lloydminster-Wainwright, Wayne Drysdale, West Yellowhead, Yash Sharma on April 27, 2018 by Dave Cournoyer. After years of political wrangling over the expansion of Kinder Morgan’s Trans Mountain Pipeline, the Alberta government has announced the construction of a new pipeline that will carry craft brewed beer from Alberta to British Columbia. 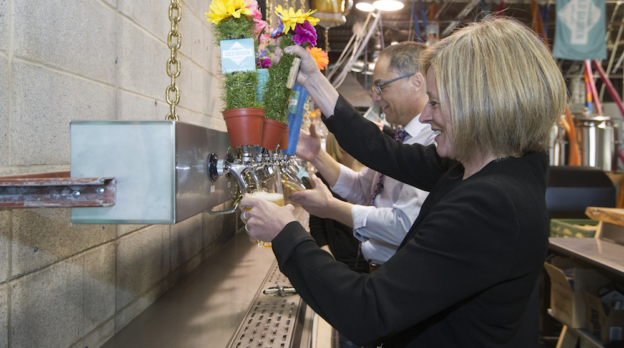 “We’re working with entrepreneurs to create jobs and brewing in Alberta is thriving, with more breweries and distilleries opening their doors or growing their businesses,” said Premier Rachel Notley. “I’m thrilled Kinder Morgan has agreed to help export our craft beer to foreign markets through this pipeline… all the way to tidewater,” a cheerful Notley exclaimed while raising a cold pint of Alley Kat Scona Gold. The proposed pipeline, with 980 kilometres of pipe, would increase Alberta’s export capacity to 1,000,000 kegs per day. An investment of $10.8 billion would complete the connection between Edmonton and Burnaby. 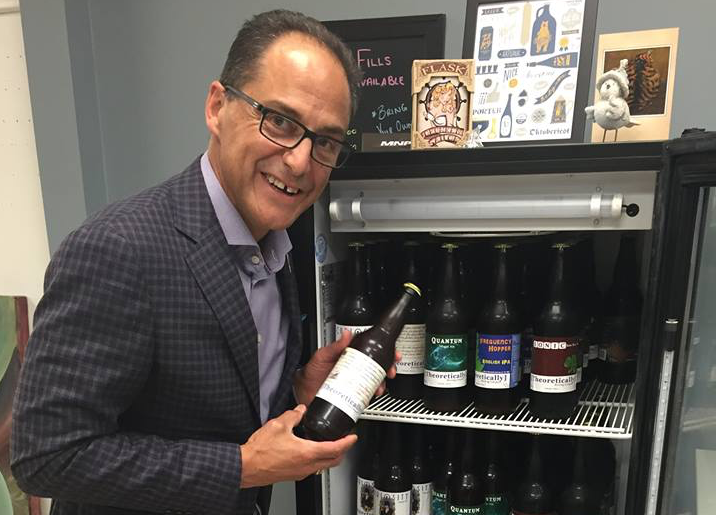 “Our government is proud to support a successful and growing industry from grain to glass to tidewater as they broaden job opportunities, help diversify the economy and make great products,” exclaimed Joe Ceci, Minister of Finance and Craft Brewery Development, after taking a sip of East Calgary Lager from the Cold Garden Beverage Company. “It is great to see that the craft brewing industry in Alberta is obviously flourishing. I’m also happy to see the number of jobs that will been created as a result of this new pipeline,” said Agriculture and Hops Minister Oneil Carlier while enjoying a glass of Naked Woodsman Pale Ale from Bench Creek Brewing. “We are proud to support Alberta’s successful and growing liquor manufacturing industry. This pipeline will provide manufacturers with an export capacity that makes sense, reduces licensing costs and creates job opportunities by enabling business growth,” said Ceci. But the opposition remains unimpressed. “Last week I wrote the Premier asking that her Government convene an emergency sitting of the Legislature to allow MLAs of all parties to discuss this critical economic issue, inform the government’s approach, and hopefully show a sign of unity in calling for federal action to get the Craft Beer pipeline built,” said Official Opposition leader Jason Kenney. “The Craft Beer pipeline is critical for Alberta and it is the national interest for this project to succeed,” said Kenney. Notley is expected to join BC Premier John Horgan for a ceremonial keg-stand near the Alberta-BC boundary next month. This entry was posted in Alberta Politics and tagged Alberta Craft Breweries, Alley Kat Beer, Bench Creek Brewing, Cold Garden Beverage Company, East Calgary Lager, Jason Kenney, Joe Ceci, John Horgan, Kinder Morgan Craft Beer Pipeline, Kinder Morgan Trans-Mountain Pipeline, Naked Woodsman Pale Ale, Oneil Carlier, Rachel Notley, Scona Gold on April 1, 2018 by Dave Cournoyer. Photo: Justice Myra Bielby chaired Alberta’s Electoral Boundaries Commission. 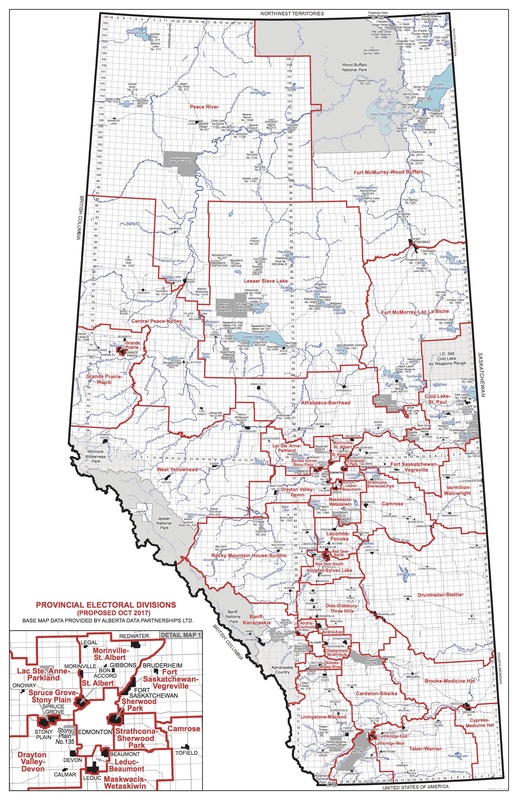 The final report of the Alberta’s Electoral Boundaries Commission was released today with recommendations to redraw the province’s electoral map for the 2019, and presumably the 2023, elections. The challenge facing the five-person commission was to redraw Alberta’s electoral boundaries to reflect growth and declining population in regions across the province. Without the ability to increase or decrease the number of constituencies from the current 87, the commission’s work was no easy task. 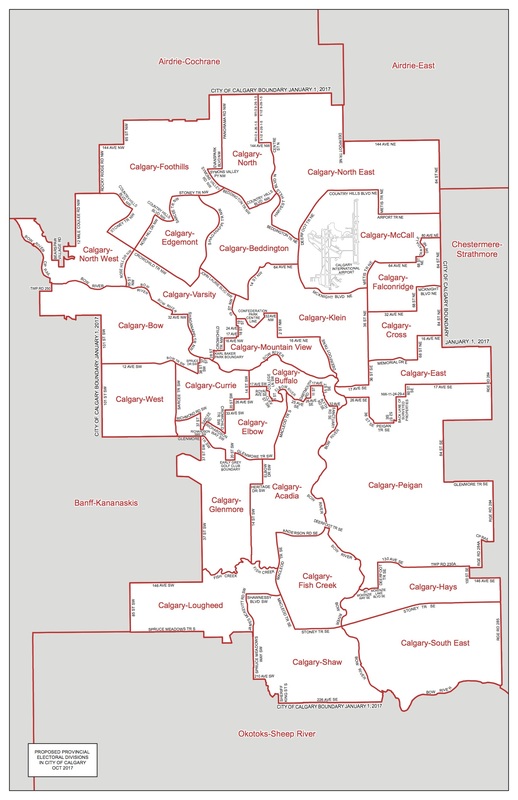 I was pleased to see the final report recommends new boundaries that will increase representation in the Legislature from growing communities such as Calgary, Edmonton, Airdrie, Grande Prairie, Spruce Grove, Cochrane and Chestermere. I was pleased to see the final report incorporate a number of changes that I recommended in my initial submission in February 2017 and response to the interim report in July 2017. In my response to the interim report, I recommend that the Commission attempt to keep districts within ten percent, and ideally within five percent, above or below the provincial average population per electoral district. The commission improved this average in the final report, with 73 of 87 districts now falling with ten percent above or below the provincial average. The creation of the Morinville-St. Albert district north of Edmonton is an improvement from both the current boundaries and those included in the interim report. Rather than splitting the Sturgeon Valley communities like spokes in a bicycle wheel-like districts like the current Barrhead-Morinville-Westlock and Athabasca-Sturgeon-Redwater, drawing these communities into a common district north of Edmonton is a sensible choice. 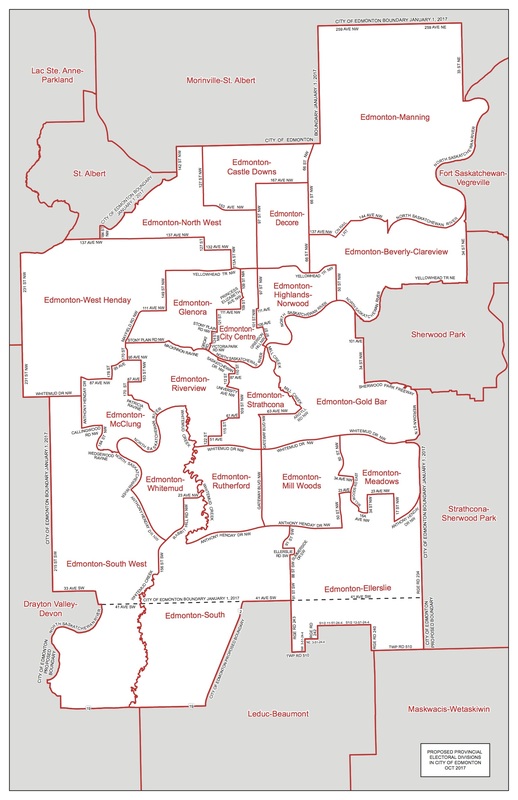 The final report renames some of the odd district naming choices including in the interim report, such as Calgary-Airport, Edmonton-Mill Woods-East and Edmonton-Mill Woods-West. The final report eliminates the problems with the shelter belt-like Fort Saskatchewan-St. Paul, Vermilion-Lloydminster and Stettler-Wainwright districts proposed in the interim report. Eliminating the non-contiguous district of Wetaskiwin-Camrose and recommending the creation of a Maskwacis-Wetaskiwin district will bring together a large community of interest that was previously split into two districts. This is positive. While the final report eliminates some troubling rural district changes that were included in the interim report, it does include some of its own odd boundary changes. Most notable is the hour-glass shaped Cardston-Siksika district that would include two large sprawling rural areas that connect through a narrow gap near Lethbridge. The final report also recommends the elimination of the single urban Medicine Hat district in favour of creating two rurban districts, Brooks-Medicine Hat and Cypress-Medicine Hat. This may face criticism in Medicine Hat, which has had its own urban district since at least the 1960s. Having to balance regional population growth and decline without having the ability to increase the number of districts makes the task of redrawing districts very challenging. The lines must be drawn somewhere. And while this final report will not please everyone, the commission should be commended for their hard work. The final report will be presented to the Legislative Assembly in the fall session, which begins at the end of October, and will require the support of a majority of MLAs to be approved. What does this mean for incumbent MLAs? The boundary changes propose in the interim report could led to incumbent MLAs facing each other in next election. In northwest Alberta, Grande Prairie-Smoky United Conservative Party MLA Todd Loewen could face Dunvegan-Central-Peace Notley New Democratic Party MLA Marg McCuaig-Boyd in the new Dunvegan-Notley district. North of Edmonton, Barrhead-Morinville-Westlock UCP MLA Glenn Van Dijken could face Athabasca-Sturgeon-Redwater NDP MLA Colin Piquette in the new Athabasca-Barrhead district. And in northeast Alberta, three UCP MLAs – Brian Jean, Dave Hanson and Scott Cyr – will need to face the reality that only two districts will exist in their region in 2019. NDP MLA Trevor Horne will see his current Spruce Grove-St. Albert district absorbed into a redrawn St. Albert district and the new Lac Ste. Anne-Parkland and Spruce Grove-Stony Plain districts. Much of the areas included in these proposed districts are currently represented by NDP MLAs Marie Renaud, Erin Babcock and Oneil Carlier. This entry was posted in Alberta Politics and tagged Alberta Election 2019, Alberta Electoral Boundaries Commission, Colin Piquette, Dave Hanson, Erin Babcock, Final Report, Glenn van Dijken, Marg McCuaig Boyd, Marie Renaud, Oneil Carlier, Scott Cyr, Trevor Horne on October 19, 2017 by Dave Cournoyer. The learning curve has been steep for the new government over the past year, but Rachel Notley has faced the largest storm of her premiership this past week. 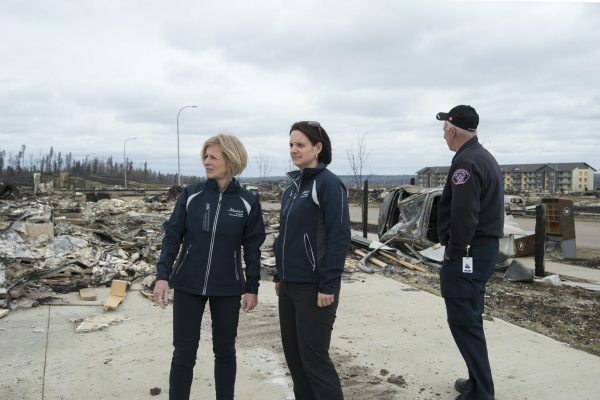 Ms. Notley has been a calm and commanding presence as the wildfires damaged the community of Fort McMurray. The Premier, Agriculture and Forestry Minister Oneil Carlier and Municipal Affairs Minister Danielle Larivee, a registered nurse from Slave Lake who has served as a key communicator during this crisis, have been factual and compassionate in their communications with Albertans. Clear communication has been key to the success of Ms. Notley’s daily press conferences with fire and safety officials. Ms. Notley is doing what she needs to be doing as premier: being a strong and compassionate leader for Albertans through this disaster. Facing the wildfires that have devastated his community, including the loss of his own home, Wildrose opposition leader Brian Jean has abandoned his normally adversarial tone and has been reasonable in his support of the government’s response to the wildfire. Faced with these losses, I cannot begin to imagine what he must be going through on a personal level. Not many of us can fathom what it feels like to lose our home and much of our community to a natural disaster. Whatever his plans for the future as leader of the opposition, Mr. Jean would be smart to recognize that the collaborative and less confrontational tone looks good on him. Similar reflections on leadership can be made about the strengths of other elected leaders who have stepped up to help during these wildfires, including Edmonton Mayor Don Iveson, whose city has opened its doors as a refuge for tens of thousands of Fort McMurray evacuees. We continue to witness a refreshing dose of humanity in our country as people from all walks of life have stepped up to help those who have fled the wildfires. The break in hyperpartisanship is, unfortunately, not universal. Nasty Internet memes and conspiracy theories have been promoted on social media spinning wild untrue accusations against the NDP, environmentalists and ISIL. Not unlike other natural disasters, politicians from all sides of the political spectrum have put aside their partisan differences for a moment in order to rally for Fort McMurray. It has taken a tragic event to provide a humanizing break from the increasingly hyper-partisan and polarized daily politics in Alberta. As we move past the disaster and closer toward cleaning up and rebuilding the community, it is inevitable that the cordial feelings will break and partisanship will return, but our leaders have an opportunity to define what tone post-wildfire politics will look and feel like. This entry was posted in Alberta Politics and tagged Brian Jean, Danielle Larivee, Don Iveson, Edmonton Journal, Fort McMurray, Fort McMurray Wildfires, Greg Stevens, Oneil Carlier, Rachel Notley, Wildfires on May 11, 2016 by Dave Cournoyer. Alberta’s provincial cabinet grew by six today as Premier Rachel Notley announced an early 2016 cabinet shuffle. These appointments bring the size of Alberta’s cabinet up to 19, which is larger than the initial 12 cabinet ministers appointed after the NDP won the 2015 election but is still the smallest Alberta cabinet in more than a decade. It became clear in the NDP government’s first half year in office that it would be unrealistic to have such a small group be responsible for so many large government ministries. Because of this, it was widely suspected that the new government would wait until 2016 before deciding which backbench NDP MLAs were cabinet material. Here are some of the changes made as a result of today’s cabinet shuffle. Edmonton-Glenora MLA Sarah Hoffman retains her position as Minster of Health while also taking on the role of Deputy Premier. Ms. Hoffman has proven herself to be one of the strongest members of the provincial cabinet, so this promotion is not a surprise. 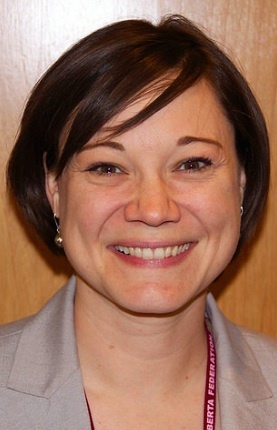 Calgary-Acadia MLA Brandy Payne will assist Ms. Hoffman as Associate Minister of Health, a position that has existed in the past. Edmonton-Riverview MLA Lori Sigurdson took a political beating during the Bill 6 farm safety law debates has been demoted from her role as Minister of Advanced Education and Minister of Jobs, Skills and Labour. She is now Minister of Seniors and Housing. Replacing Ms. Sigurdson are Edmonton-Gold Bar MLA Marlin Schmidt as Minister of Advanced Education and Edmonton-Mill Woods MLA Christina Gray as Minister of Labour (no longer the Ministry of Jobs, Skills and Labour). 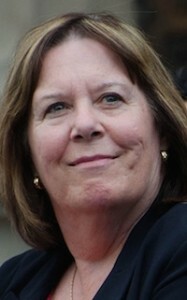 Ms. Gray is also Minister Responsible for Democratic Renewal, a role that coincides with her position as chairperson of the Select Special Ethics and Accountability Committee, which is reviewing the Election Act, the Election Finances and Contributions Disclosure Act, the Conflicts of Interest Act, and the Public Interest Disclosure (Whistleblower Protection) Act. Edmonton-Rutherford MLA Richard Feehan has been appointed Minister of Indigenous Relations, which has been renamed from Aboriginal Relations. Calgary-Cross MLA Ricardo Miranda, is now Minister of Culture and Tourism. He is also Alberta’s first openly gay cabinet minister. Two new cabinet ministers, Ms. Payne and Calgary-Varsity MLA Stephanie McLean, who is Minister of Service Alberta and Status of Women, are pregnant and expecting to add new additions to their families in 2016. Agriculture Minister Oneil Carlier is now Deputy Government House Leader, a role he shares with Economic Development and Trade Minister Deron Bilous. 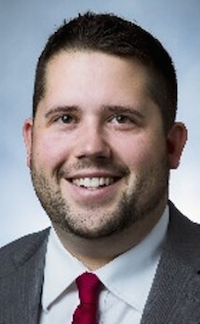 It is unclear whether Mr. Schmidt and Ms. McLean will continue in their roles from the previous Legislative session as Government Whip and Deputy Government Whip. It is expected that MLAs will choose a new Deputy Chair of Committees to replace Mr. Feehan as he moves into his new ministerial role when the Legislature returns on March 8, 2016. A full list of the new cabinet can be found here. The cabinet shuffle also included the announcement that a new Climate Change Office has been created to help implement the government’s Climate Leadership Plan. The new office will report to Environment and Parks Minister Shannon Phillips. This entry was posted in Alberta Politics and tagged Alberta Climate Change Office, Alberta NDP, Bill 6: Enhanced Protection for Farm and Ranch Workers Act, Brandy Payne, Cabinet Shuffle, Christina Gray, Climate Leadership Plan, Deron Bilous, Lori Sigurdson, Marline Schmidt, Oneil Carlier, Pregnant MLA, Rachel Notley, Ricardo Miranda, Richard Feehan, Sarah Hoffman, Shannon Phillips, Stephanie McLean on February 2, 2016 by Dave Cournoyer. The Alberta government needs to rethink its approach to overhauling safety laws on family farms and ranches. Since it was introduced in the Legislature on Nov. 17, confusion about Bill 6: Enhanced Protection for Farm and Ranch Workers Act has triggered a significant backlash from Albertans in rural communities across the province. Bill 6 would expand sections of the Occupational Health and Safety Act, Workers’ Compensation Act, Employment Standards Code and Labour Relations Code to apply to farm worksites. If Bill 6 is approved by the Legislature, WCB coverage will be mandatory and farms and ranches in Alberta will no longer be exempt from OHS laws. Alberta is currently the only province without employment standards coverage for farm and ranch workers. Around 200 protesters gathered at the Alberta Legislature on Nov. 27, 2015. Nearly 400 angry farmers showed up to voice their concerns about Bill 6 at a government-organized town hall meeting in Grande Prairie last week. The event was hosted by public servants and consultants with no MLAs in attendance. 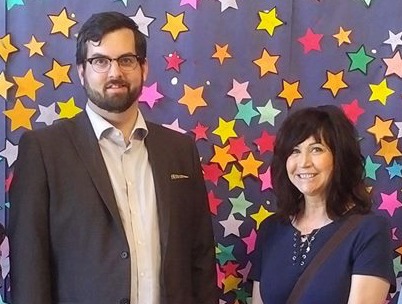 Western Producer reporter Mary MacArthur reported this week that MLAs will be present at future town hall meetings planned for Red Deer, Okotoks, Lethbridge, Medicine Hat, Leduc, Vegreville, Olds and Athabasca. Close to 200 people, along with 2 ponies, 1 border collie and 1 turkey (see above), staged an afternoon protest against Bill 6 outside the Alberta Legislature on Nov. 27, 2015. To their credit, Jobs, Skills, Training and Labour Minister Lori Sigurdson and Municipal Affairs Minister Danielle Larivee waded into the crowd of protesters at the Legislature to hear their concerns. Lori Sigurdson waded into the crowd of protesters outside the Legislature. It is clear that there are some changes that do need to be made to farm safety laws in Alberta. As is the case in every other province in Canada, the government has a responsibility to ensure that safety standards exist for all worksites in Alberta, including agricultural work environments. But this is where the New Democratic Party government may have put the cart before the horse. It is unfortunate that the government did not choose to hold these public consultation meetings before introducing the bill. It seems that the NDP could have saved themselves a lot of grief if Agriculture Minister Oneil Carlier, Premier Rachel Notley, Ms. Sigurdson and other NDP MLAs had started this process by travelling to the rural areas of the province to ask farmers and ranchers how changes could impact them. Danielle Larivee waded into the crowd of protesters outside the Legislature. Under current safety laws, provincial officers are not allowed to conduct investigations when a workplace fatality takes place on a farm or ranch. The WCB is a shield to protect employers from lawsuits in case of workplace injury and should probably be extended to cover all actual employees of farms and ranches. And farm workers should not be exempt from being given the choice to bargain collectively, a right affirmed by the Supreme Court of Canada. But legal changes also need to reflect the uniqueness of family farms and ranches. Unlike other worksites, farms rely heavily on incidental and seasonal help during spring and fall from family, friends and neighbours. And by definition, work on a family farm will include work done by family members, some who will not be paid a regular salary and some who will be under the age of 18. It has not been clearly communicated by the government how these changes would impact the day to day operations of these family farms or whether exceptions will be made for smaller farming operations. While some of the criticism of Bill 6 is rooted in hyperbole and hysterics generated by opponents of the government, it is clear that there is much confusion around this bill, which is a communications failure on the part of the government. Ms. Sigurdson released a statement following yesterday’s protest at the Legislature trying to clarify the government’s position. “A paid farmworker who is directed to do something dangerous can say no, just like other workers in Alberta and Canada. And if they are hurt or killed at work, they or their family can be compensated, just like other workers in Alberta and Canada,” Ms. Sigurdson said. The debate around Bill 6 also highlights a political divide between rural and urban Alberta, neither of which are monolithic communities. It would be easy for us city dwellers to cast rural Albertans opposing these legislative changes as being backward or uncaring when we read media reports of workers or young children killed in farm accidents. And comments by MLAs like Liberal leader David Swann that the current legal framework would make “Charles Dickens blush” probably do not help foster a feeling of collaboration, even if there is a hint of truth to how far behind Alberta is in farm safety rules compared to other provinces. Alberta is an increasingly urban province. According to Statistics Canada, in 1961, 53 percent of Albertans lived in rural areas. As of 2011, 83 percent of Albertans lived in urban centres with only 17 percent of our province’s population living in rural areas. This is a massive population shift. The recent provincial election marked a rare moment in our province’s history where MLAs from rural Alberta do not have a large voice in the government caucus. 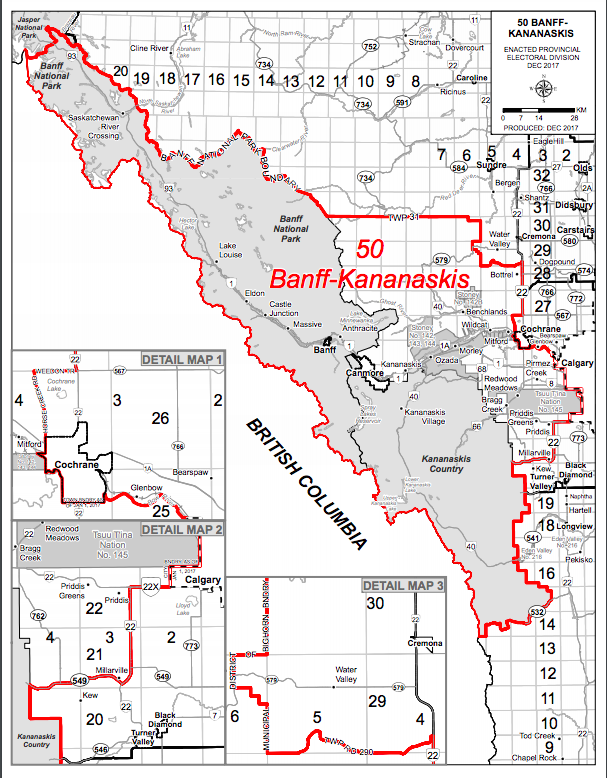 Twelve of the 53 NDP MLAs elected in May 2015 represent rural or partially rural constituencies. Most areas of rural Alberta are represented by Wildrose Party MLAs, who have taken every opportunity to attack the new government and advance the narrative that the NDP do not understand rural Alberta. As most of their NDP MLAs were elected in urban centres, they should heed the advice that MLA Hugh Horner gave Progressive Conservative Party leader Peter Lougheed more than forty years ago. Ms. Notley grew up in the northern Alberta town of Fairview. Her father, Grant Notley, was elected and re-elected as the MLA for Spirit River-Fairview four times between 1971 and 1984. Coming from rural Alberta, Ms. Notley should have an understanding of these changes could impact farmers and ranchers. The government has a responsibility to ensure that safety standards exist for all worksites in Alberta, including agricultural work environments. It also has a responsibility to clearly communicate to Albertans why these changes are needed and how they would be implemented. The NDP would demonstrate good will to rural Albertans by slightly tapping the breaks on Bill 6 and restarting this process with a thorough and meaningful consultation about improving farm and ranch safety in Alberta. make clear that Occupational Health and Safety standards apply when a farm employs one or more paid employees at any time of the year. This entry was posted in Alberta Politics and tagged Alberta NDP, Bill 6: Enhanced Protection for Farm and Ranch Workers Act, Danielle Larivee, David Wood, Employment Standards Code, Family Farm, Farm Workers, Grant Notley, Hugh Horner, Labour Relations Code, Lori Sigurdson, Lougheed Legacy, Mary MacArthur, Occupational Health and Safety Act, Oneil Carlier, Peter Lougheed, Rachel Notley, Ranch Workers, Spirit River-Fairview, Wildrose Party, Workers’ Compensation Act on November 28, 2015 by Dave Cournoyer. Amid allegations of financial misspending and a lack of transparency, representatives from sixty-one elected Public, Catholic, and Francophone school boards from across Alberta will gather at the fall general meeting of the Alberta School Boards Association on November 15, 16 and 17 in Edmonton. School board representatives could face another round of debate about protecting lesbian, gay, bisexual, transgender and queer students and staff. The Edmonton Public School Board will introduce a motion at the meeting for the ASBA to create a policy that protects all students, staff and families who identify as sexual or gender minorities. “I think tone at the top is very important, and it is important for the Alberta School Boards Association to take an active stance against the bullying and marginalization of lesbian, gay bisexual, transgender, queer and questioning students. I think this will send a very important signal across school boards that we do support inclusion, we do want to support our students,” EPSB chairperson Michael Janz told the Edmonton Sun. The motion has been proposed as emergent by EPSB and will be introduced on the first full day of the meeting. Delegates will be asked whether it should be added to agenda and debated at the meeting. Debate at the ASBA’s general meeting in 2012 attracted national attention when 62 percent of the delegates voted down a proposal to protect gay students and staff from discrimination, similar to a policy passed by EPSB in 2011. One trustee at the 2012 meeting from the Pembina Hills School Division suggested if “children with a gay tendency” could hide their gayness it would be “for their own benefit.” The trustee later apologized but not before his comment became national news. The debate around legislating the creation of Gay-Straight Alliances in Alberta schools became a major political issue in the final months of 2014 and created major rifts between social conservatives and moderate conservatives in the Wildrose and Progressive Conservative parties. Recent debates at the Edmonton Catholic School District about creating safe environments for transgender students have degenerated into public scenes of crying and shouting. “I expect a higher standard from all elected officials here, generally in Alberta, and specifically with Edmonton Catholic,” Education Minister David Eggen said following the debates. Mr. Eggen has directed all Alberta school boards to have a policy supporting LGBTQ students in place by March 31, 2016. It has been reported that only 13 out of 61 school boards currently have stand alone policies protecting rights of LGBTQ students and staff. The result of the debate about whether to adopt a policy protecting all students, staff and families who identify as sexual or gender minorities will likely set the tone for an important breakfast event being held for trustees and MLAs on the final day of the meeting. Twenty-eight NDP, Wildrose, Progressive Conservative and Liberal MLAs are scheduled to attend the breakfast, including cabinet ministers Brian Mason, Joe Ceci, and Oneil Carlier. Mr. Eggen scheduled to deliver an address at the breakfast. What the Education Minister has to say in his address will likely depend on if Alberta’s elected school trustees choose to rise above the closed mindedness and ignorance that has dominated these debates in past years. Protecting students and staff is not optional. That the Alberta School Boards Association support its members school boards in establishing and maintaining welcoming, inclusive, safe and healthy learning and working environments for all members of the school community, including sexual orientation and genders minority students, staff and families. This includes provision of support with policy development and related resources. Issues with regard to publicly funded education and supporting Sexual Orientation and Gender Identity students, staff and families have been in the news this year. The ASBA has been silent on these issues, both in policy and presence. It is proposed by the Committee that we take a second attempt at moving forward the 2012 Sexual Orientation and Gender Identity Policy to the ASBA. The Committee believes it is important for the ASBA to clearly take a policy position in support of students, staff, and families in alignment with provincial legislation and our Strategic Plan outcome to provide welcoming, inclusive, safe caring and healthy learning and work environments. Research has shown that sexual minority youth experience more bullying, harassment, alienation, and suicide ideation than do their heterosexual peers and; therefore, boards are encouraged to counter pervasive cultural biases against sexual minorities through proactive and specific policy and regulation to ensure that all sexual orientation and gender identity minority individuals are welcomed, respected, accepted and supported in all of their schools. Previous ASBA fall general meetings have been webcast. I will post a link to the website once I have confirmed this meeting will be live streamed online. This entry was posted in Alberta Politics and tagged Alberta NDP, Alberta School Boards Association, Bill 10: An Act to Amend the Alberta Bill of Rights to Protect our Children, Brian Mason, David Eggen, Edmonton Catholic School District, Edmonton Public School Board, Gay-Straight Alliances, Joe Ceci, LGBTQ Policy, Michael Janz, Oneil Carlier, Pembina Hills School Division, Progressive Conservatives, Wildrose Party on November 12, 2015 by Dave Cournoyer. Banning corporate and union donations: Check. Restoring funding to health, education and human services: Check. Introducing a new climate change strategy: Coming soon. Phasing in a $15 per hour minimum wage: Coming soon. Reviewing Alberta’s natural resource royalty framework: Coming soon. Progress is the order of business in Canada’s so-called Conservative heartland as Premier Rachel Notley’s newly elected Alberta NDP government begins implementing the main promises from their winning election platform. Leaders of the previous PC regime, Alison Redford and Jim Prentice, styled themselves as Progressive Conservatives, their actions rarely matched their words. The NDP proposed a fairly moderate progressive agenda and it is refreshing to see it take action so quickly after the election. Revenue and tax reform was a big issue before and during the recent election, with Mr. Prentice and the opposition argued over how best to remove Alberta from the oil revenue roller coaster. It remains clear that Alberta cannot continue to rely on revenues generated from oil and gas royalties to fund the provincial operating budget. Both the PCs and NDP proposed tax increases in the recent election, but Mr. Prentice’s refusal to increase corporate taxes, even symbolically, was a huge miscalculation. While conservatives preach doom and gloom, our province still has corporate and personal tax rates lower than when Ralph Klein was premier, no provincial sales tax, and huge reserves of oil and gas. Alberta will now have the same corporate tax rate as Saskatchewan and Manitoba. But there is still plenty more for the new government to do. Agriculture Minister Oneil Carlier should extend protections to farmworkers injured on the job. Municipal Affairs Minister Deron Bilous should follow calls from Calgary’s Naheed Nenshi and Edmonton’s Don Iveson and Michael Janz to reform municipal election finance laws. And the province can do much more to clean up provincial election laws, something that a new all-party committee will be tasked to do soon (and they should consider adopting some of the amendments made by Wildrose MLAs during recent debates in the Legislature). Apologizing for previous governments lack of action to stop residential schools and calling for a national inquiry into missing and murdered aboriginal women was absolutely the right step to take but action needs to follow. Justice and Aboriginal Affairs Minister Kathleen Ganley needs to show through government policy that this apology is more than just political posturing. The government also announced it will soon take action to improve Alberta’s record of poor environmental management and lack of action of climate change, which has helped fuel international opposition to pipeline expansion and the oil sands. On climate change, the PCs lost the public relations battle years ago. Now the challenge will fall to Ms. Notley, Environment Minister Shannon Phillips and Energy Minister Marg McCuaig-Boyd to win the policy war on climate change. 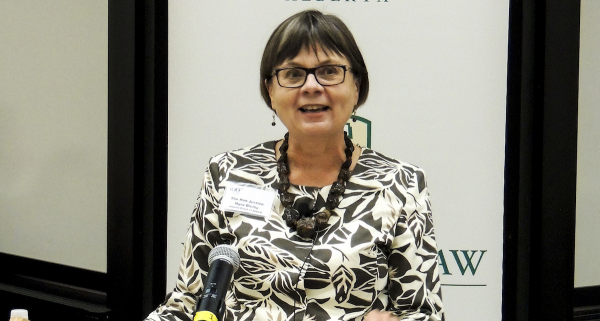 I do not have enough room in this post to even begun to discuss the challenges facing Health Minister Sarah Hoffman and Education Minister David Eggen (which will be included in a series of future posts). As the new government moves forward with what in most other provinces would be considered a moderate progressive agenda, Canada’s conservative outrage industry is gearing up its attacks on the Alberta’s new government. Talking heads like Ezra Levant are fuelling the paranoia of right-wing fringe conservatives afraid we are witnessing a Red Dawn-style communistic coup (federal Conservative candidate Kerry Diotte and Wildrose MLAs Drew Barnes and Rick Strankman were among the registered spectators at one of Mr. Levant’s travelling circus shows). And recent opinion editorials by critics like conservative economist Jack Mintz, who suggested Alberta could be the next Greece, have verged on the bizarre. Ms. Notley and Infrastructure Minister Brian Mason moved quickly to quell criticism of their fiscal plan by announcing last week that former Bank of Canada Governor David Dodge will be advising the Premier on infrastructure investment issues. Hiring Mr. Dodge is a smart move and shows a willingness to bring in talent from outside traditional NDP circles. Aside from the angry conservatives, the new government appears to still enjoy popular support from Albertans, who tossed out the scandal-ridden and tone deaf Tories on May 5. 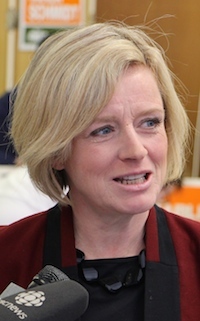 Recent polling shows Ms. Notley, still in her honeymoon period, enjoying the approval of 53% of Albertans, making her the second most popular premier in Canada next to Saskatchewan’s Brad Wall. The NDP need to be careful not to cut short their honeymoon by making small mistakes. They have already faced criticism for hiring too many provincial outsiders and the media is poking around the perceived influence of Ms. Notley’s husband. These are minor issues that I am sure most Albertans will look past today but the small mistakes can pile up quickly if the new government is not careful. If the NDP can continue to limit their missteps, focus on implementing their popular platform, and remember why Albertans endorsed Ms. Notley’s charismatic leadership, they will enjoy a warm welcome on the summer political barbecue and parade circuit. This entry was posted in Alberta Politics and tagged Alison Redford, Brad Wall, Brian Mason, David Dodge, David Eggen, Don Iveson, Drew Barnes, Ezra Levant, Jack Mintz, Jim Prentice, Kathleen Ganley, Kerry Diotte, Marg McCuaig Boyd, Michael Janz, Naheed Nenshi, Oneil Carlier, Rachel Notley, Ralph Klein, Rick Strankman, Sarah Hoffman, Shannon Phillips on June 24, 2015 by Dave Cournoyer. Thousands of Albertans packed the Legislature Grounds for the swearing-in ceremony of Premier Rachel Notley and Alberta’s first NDP Cabinet. This marked the first time in 44 years that a party other than the Progressive Conservatives were sworn-in to office and the event felt more like an outdoor festival than a protocol-ruled government ceremony. The hot weather, live music, free ice cream, food trucks and wading pools helped contribute to this atmosphere, but there was an unmistakable feeling of excitement and optimism in the sea of onlookers. It was really unlike anything I have experienced in my ten years writing about politics in this province. This crowd was cheering for Alberta. Along with serving as Premier, Ms. Notley is also responsible for the Ministry of International and Intergovernmental Relations, a double role that her predecessors Ralph Klein and Jim Prentice also took responsibility for. The three other incumbent NDP MLAs, Brian Mason, Deron Bilous and David Eggen, were appointed to senior roles and first-term Edmonton MLAs Sarah Hoffman and Lori Sigurdson were also named to cabinet. The new 12-member cabinet has an equal number of women and men, and while half of its MLAs represent Edmonton constituencies, ministers from rural Alberta, Lethbridge and Calgary have been given important responsibilities. Former Calgary Alderman Joe Ceci is Finance Minister and Treasury Board President, Calgary-Buffalo MLA Kathleen Ganley is Justice Minister, Lethbridge-West MLA Shannon Phillips is Environment Minister, Dunvegan-Central Peace-Notley MLA Marg McCuaig-Boyd is Energy Minister, Whitecourt-Ste. Anne MLA Oneil Carlier is Agriculture and Forestry Minister, and Calgary-McCall MLA Irfan Sabir is Minister of Human Services. The new cabinet will hold its first meetings in Calgary on May 27 and 28. It was reported on social media this weekend that the NDP Caucus will nominate Medicine Hat MLA Bob Wanner as Speaker of the Assembly when MLAs convene to replace Speaker Gene Zwozdesky on June 11. Mr. Wanner is the former commissioner of public services at the City of Medicine Hat and worked as a professional mediator before he was elected. The Speech from the Throne will be read by recently appointed Lieutenant Governor Lois Mitchell on June 15. The last outstanding race of the May 5 provincial election will face a judicial recount. The election in Calgary-Glenmore was tied on election night and the official count showed NDP candidate Anam Kazim six votes ahead of Progressive Conservative candidate Linda Johnson. Ms. Johnson, who served one-term as an MLA after her election in 2012, has requested a judicial recount. This entry was posted in Alberta Politics and tagged Alberta NDP Cabinet Minister, Anam Kazim, Bob Wanner, Brian Mason, Calgary-Glenmore Judicial Recount, David Eggen, Deron Bilous, Gene Zwozdesky, Irfan Sabir, Jim Prentice, Joe Ceci, Kathleen Ganley, Linda Johnson, Lori Sigurdson, Marg McCuaig Boyd, Oneil Carlier, Rachel Notley, Ralph Klein, Sarah Hoffman, Shannon Phillips on May 25, 2015 by Dave Cournoyer.